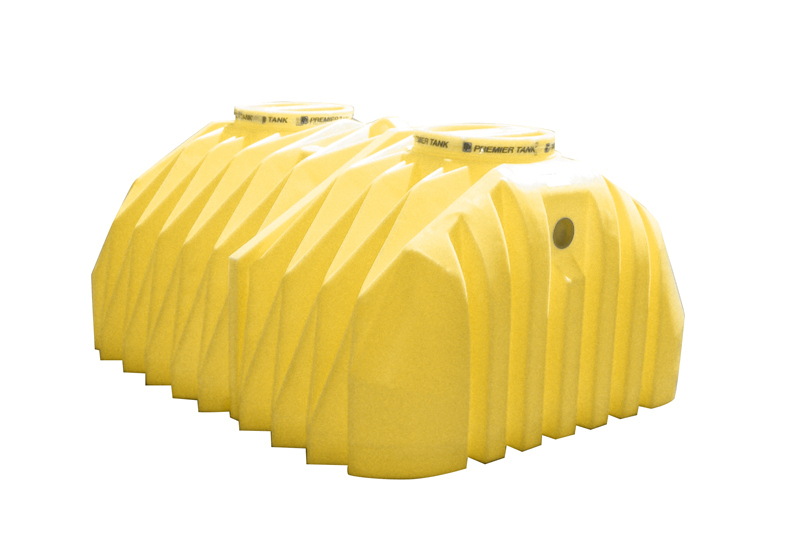 ‘Loaf’ style low profile below ground tanks (maximum backfill cover depth – 4′). The unique Triangular Ribs provide unparalleled ability to resist vertical and horizontal ground pressure. 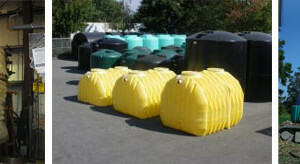 Sizes range from 750 imperial gallons (900 US gals.) 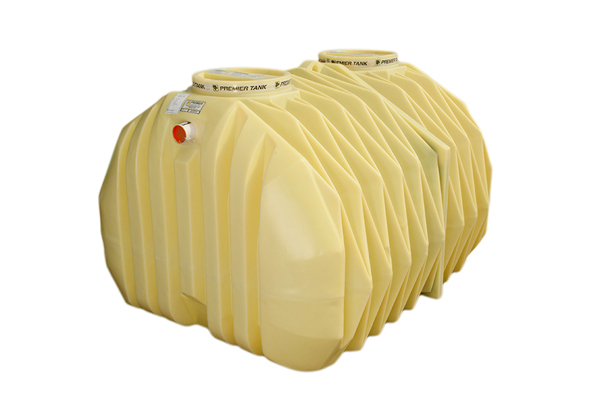 to 1350 imperial gallons (1500 US gals.) Each tank has two 19″ dia. 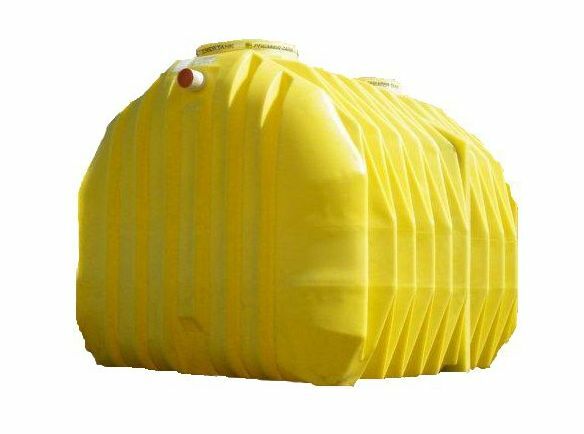 manholes with provision to install 24″ dia. access riser section to ground surface. 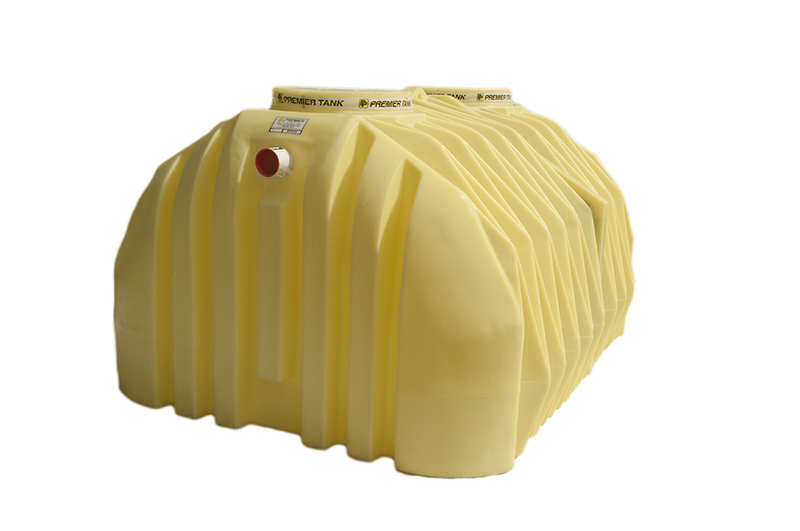 Tanks are pre-plumbed with 4″ inlet and outlet spigots.